This page gives you an overview of information about Müller - Die lila Logistik AG and legal information on our website. © Müller – Die lila Logistik AG. All rights reserved. The content, including images and the design of the Müller - Die lila Logistik AG website, are protected by copyright and other laws protecting intellectual property. The dissemination or alteration of the content of these pages, including the so-called framing and similar measures is not permitted. In addition, this content may not be copied, distributed, altered, or made available to third parties for commercial purposes. The information that Müller - Die lila Logistik AG makes available to you on this website has been compiled with the utmost care and is constantly updated. Despite careful control, total accuracy can not be guaranteed. Müller - Die lila Logistik AG excludes any liability or guarantee with regard to the accuracy, completeness, and timeliness of the information provided on this website. This applies in particular to websites that are referred to by hyperlink. These are external websites whose content our company has no influence over. Müller - Die lila Logistik AG expressly excludes liability for the content of such sites. Müller - Die lila Logistik AG is also not responsible for the privacy practices of the operators of such websites. Müller - Die lila Logistik AG reserves the right to make changes or additions to the information or data provided at any time without notice. Insofar as our Internet pages contain forward-looking statements, these statements are based on the convictions and estimates of management and are therefore subject to risks and uncertainties. Müller - Die lila Logistik AG is not obliged to update such forward-looking statements. Liability for such statements is expressly excluded. 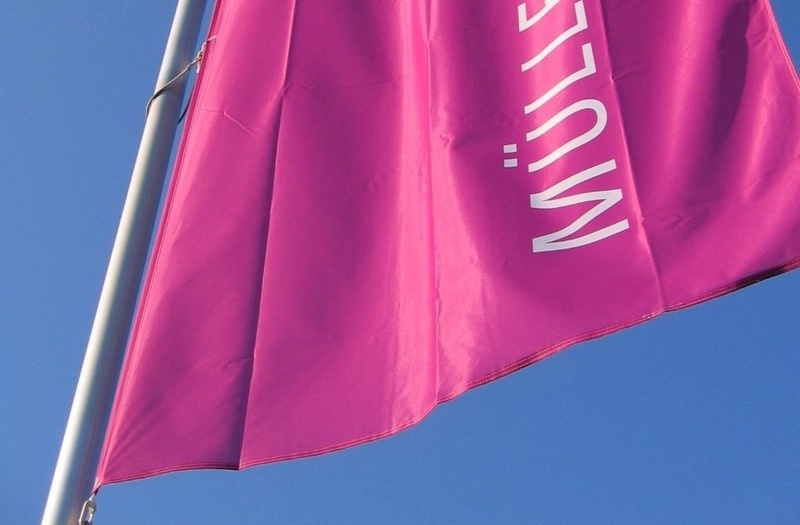 Unless stated otherwise, all trademarks used on the website of Müller - Die lila Logistik AG are protected by trademark law. This is especially true for company logos and license plates. Müller – Die lila Logistik AG would like to introduce itself with an innovative and informative website. We hope that we fulfill your expectations. However, as a precaution, we point out that the intellectual property contained therein, including patents, trademarks, and copyrights, is legally protected. This website does not grant a license to use the intellectual property of companies of Müller - Die lila Logistik Group. Reproduction, distribution, and other use is not permitted without the written consent of Müller - Die lila Logistik AG.